This course is intended to improve participant's ability to conduct regression analysesand study the relationship between response variable and multiple predictor variables. 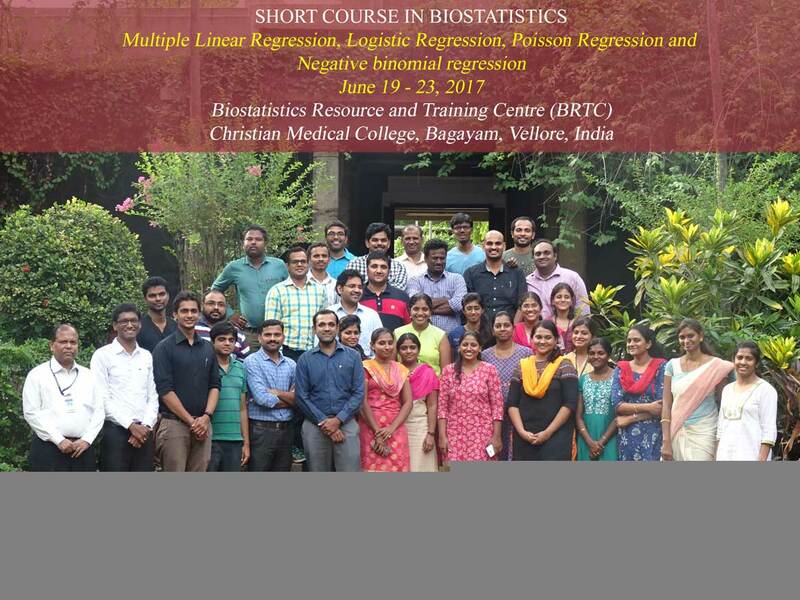 This course is also intended to sharpen the skills of analyzing continuous, binary, count data and interpreting regression coefficients. This course is targeted towards Epidemiologist, biostatisticians, Demographers and other medical researchers. Course Fee should be paid in full by June 12, 2017.